91% percent of patients favor practices using digital advancements. Over 95% of patients own a cellphone. 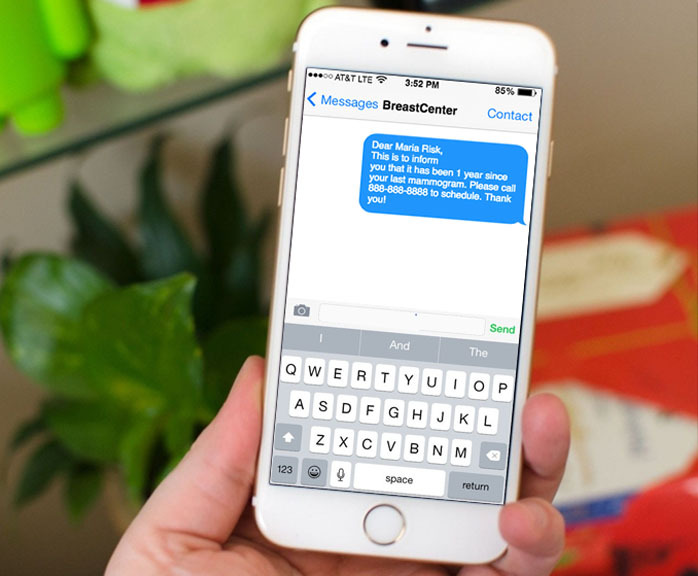 You can utilize this technology to remind your patients of upcoming appointments. Roughly 50% of Americans own a tablet. 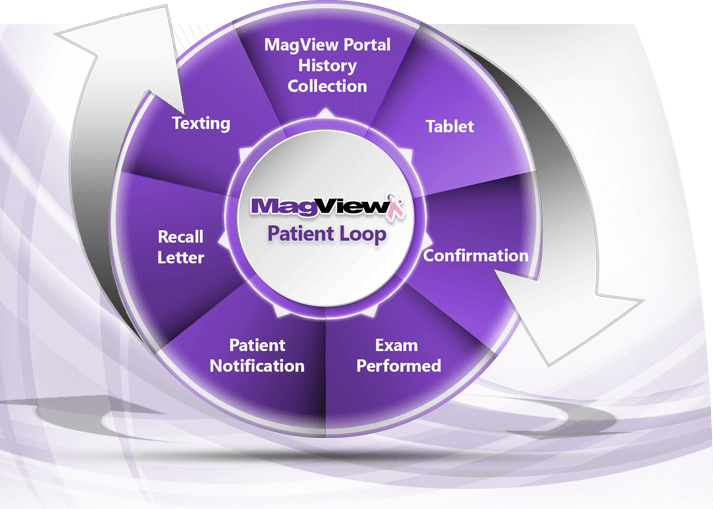 Use this technology to collect patient history remotely before they arrive. 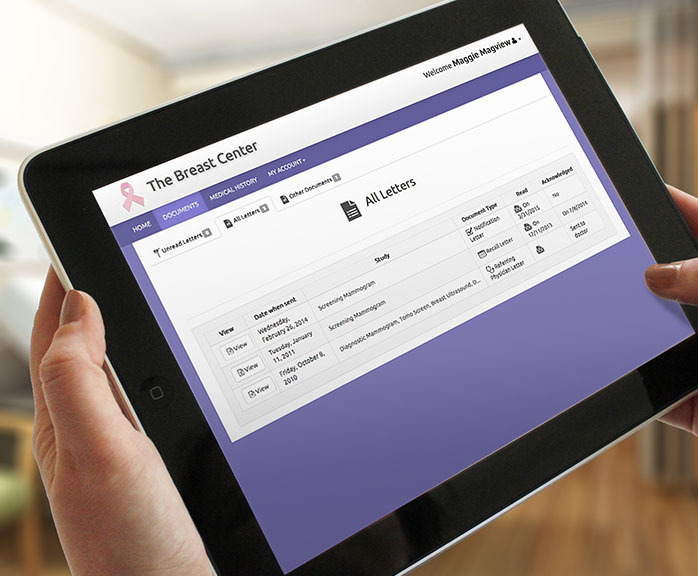 Is Your Breast Cancer Facility Ready? Almost all patients favor a facility that uses the most up-to-date technologies, even if they won’t use them directly. Does the patient experience at your mammography center match up? Maybe you have seen some of these tools in use when you visit your own doctor’s office as well. How do you stack up against other imaging centers? Do your patients use tablets? Do they receive emails to view results via patient portal? Do they get texts reminding them of upcoming appointments? What is your overall patient satisfaction level? Over 95% of all Americans own a cell phone, and the vast majority own a smartphone of some kind. We are tied to these devices, so why not use them to help bring your patients back in? Putting the power of history entry into your patients’ hands not only saves them time during their appointment, but it saves your techs and front desk staff time as well. 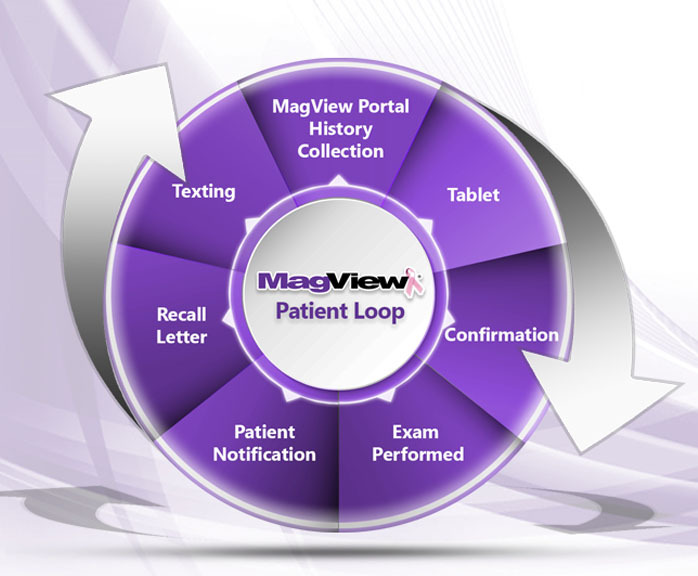 Our secure, HIPAA-compliant portal allows for patient history collection prior to their visit. As your patient population becomes more tech-savvy, they can become part of the check-in process by entering in their history via tablet. While they wait for their appointment, they can be entering in their pertinent history information over your secure wireless network. This improves efficiency and overall patient satisfaction. 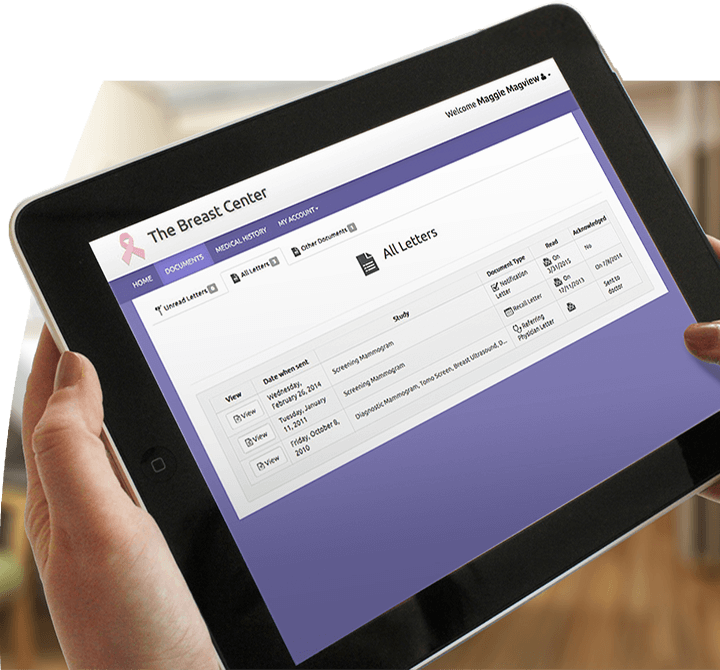 Many doctors' offices already employ this technology, and now your breast imaging center can, too. Whether through a smartphone, tablet, or laptop, patients have more access to email than ever before. 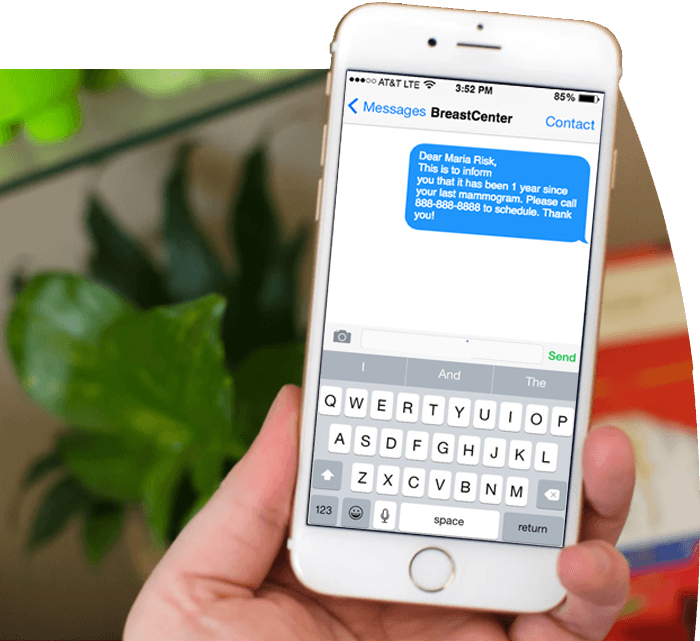 You can tap into this medium and send instant notification to patients when their results are ready, and send recall letters safely and securely. The development team was very open to making quick changes to assist both the techs and MDs, which was very much appreciated by the entire staff. I just wanted you to know what a tremendous job they did and how smooth this process went. Thanks to everyone for the help with this project.